"I wanted to be Bob Costas"
Growing up, I wanted to be Bob Costas. As a sports fan in the 1980s with big dreams of being a sportscaster, Costas was my guy. My professional model. He was the guy I wanted to be when I grew up. He was young, he was funny, he called play by play and talked about sports for a living. He encompassed every dream I had. I’ll always remember Jim Melaro’s index cards. This was the late-1990s in the sports department of The Times Herald in Olean, N.Y. To keep track of all the high school team sports for the 30-plus teams we covered in southwestern New York and Northwestern Pennsylvania — basketball, soccer, everything but football — Jim used index cards. Every night, after the last score had been called in and the last standing updated, Jim would sit at his desk and patiently update his index cards. Each team had a card, featuring a list of their games and scores. Blue if they won. Red if they lost. For soccer, he’d flip the card over and keep track of all the goal scorers. You did not question Jim’s index cards. You did not mess with Jim’s index cards. It seems small and quaint. But it shows just how deeply Jim Melaro cared about his job. He treated covering Big 30 high school sports with level of care and seriousness that anybody covering the NBA for ESPN does. A longtime sportswriter in Olean (and, for a time, in North Carolina), Jim died on Saturday morning. A life lived in journalism is one that's inextricably linked to certain people. Jim Melaro was one of those people. Jim was one of the first people I knew in journalism. I started as an intern at the OTH in the fall of 1996, my sophomore year in college. My sister was then a news reporter at the paper (she would join the sports desk the next year), and she connected me with sports editor Chuck Pollock, who hired me. But it was Jim with whom I worked most often. The high school sports desk of the small town newspaper is, in so many ways, the bedrock of sports journalism. It’s where so many of us got our starts, where we really learn the job. There’s no more pressure-filled place in journalism than the sports department on a Friday night when the phones never stop ringing after 7 p.m. You’re putting hundreds of kids names in the paper that night, and you’ve got to be sure to get every one right. As my friend Mike Vaccaro often says, when Eli Manning wins a Super Bowl, his mom isn’t cutting out his column and putting it on her fridge. But a kid who scores a goal for Hinsdale soccer? That clips going on fridges and in scrapbooks. Jim was the master of the high school sports desk. He knew everything and everyone. He loved nothing more than covering high school football. Even as he served as the St. Bonaventure women’s basketball beat writer, high school sports — football especially — were his passion. You could not outwork Jim. Even health issues along the way couldn’t slow him down. He provided the foundation for our department that allowed those of us with big market ambitions to do our work and flourish. And he was a kind, gentile soul. He was one of the good guys. He had a laugh bigger than the whole outdoors, and a smile to match. In a job and a situation where it’s easy to get too cynical or bitter, Jim never lost his essential good nature, his willingness to help, his passion, his care. We worked together so often that we became de facto members of each others’ families. He talked to my mom every night on the phone. His first grandchild was born while I was still working with him and man, you never saw anyone light up with joy the way you did when he mentioned Jaden. My lasting image of Jim is him sitting in the desk in the back corner of the tiny sports department pen in the building on Norton Drive in Olean. It’s forever Monday night - Big 30 committee night. He sat in the corner all night, talking phone calls from the men who had volunteered to watch are high school football games and call in their observations for Jim’s weekly notebook. He has a smile on his face as he picks of the phone and talks to one of his friends for 47 minutes about everything … before eventually getting around to football. Thank you all for spending another year with me here at Sports Media Guy. I love lists and countdowns, so here are a few. First off: The 10 most popular posts of this year (I did not include the home page, the contact page or anything like that). All stats come from Squarespace analytics, which hosts my site. Where's our damn pizza? Why sports hates election night. So the interesting thing here is that only two of the most popular posts were written this year. Heck, one of them was from 2013. And finally, the 10 most popular episodes of The Other 51 (stats via Podtrac). Earlier this month, I wrote about what I think is the pending subscription-pocalypse and the impact that could have on newspapers for the Nieman Labs annual prediction package. That prediction primarily looks at the impact on subscription models from a business standpoint. But there’s a content and routines issue at play, as well. My core argument is that subscription models work best for platforms that provide users with something they can’t get anywhere else. It is, as my friend Andy Billings said to me at AEJMC, the HBO model. As long as they have that one thing you can’t live without, you’ll keep subscribing. 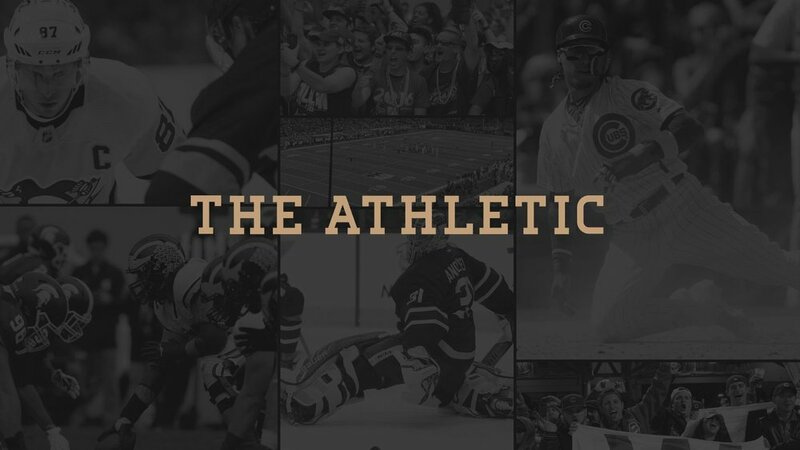 If the implicit promise of sites like The Athletic is that they are going to provide coverage you can’t get anywhere else, the kind of coverage you can’t live without, then the traditional game story has no place in that. It’s hard to imagine many people paying for a site that heavily treads in traditional inverted-pyramid style game stories. My prediction for 2019 is that the increase in the use of the subscription model could potentially revolutionize game coverage. It’s going to spell the large scale rethinking of game coverage, and possibly death of the game story. OK, so a few caveats. The game story is not dead. The AP, ESPN and other wire services still rely on it. As I’ve written before, it’s a skill for students akin to scales for a musician. It’s still the heart of most high school sports coverage (which, as I found in my dissertation several years ago, is really a different profession that sports journalism covering pro/college sports). In my dissertation several years ago, I found that so much of sports journalism (in 2013-14, at least) revolved around game coverage. Not necessarily game stories, but game coverage. There’s been a slight shift to that over the past several years. Transactions have become the coin of the realm — The Woj Bomb is the prime example of this. But our conceptualization of the place the game story holds in sports journalism has been slow to catch up. The game story is often talked about as this sacred artifact within sports journalism. Witness the hand wringing and gnashing of teeth every time a story comes out that a computer program can write a basic game story. But as the idea of unbundled sports media continues to grow, the presence of the traditional game story makes less sense for sports journalism outside of the AP and the national networks. News organizations need to rethink their sports coverage, and their game coverage. Is better game coverage what our readers want? Is it a smart use of time, energy, attention and resources to try to out-Woj Woj? What value is there in being the first to report the final score of a game? If the implicit promise of the subscription model is stories you can’t get anywhere else and stories you can’t live with out, then sports journalists need to think about what that means beyond our normal conceptions of the profession. Which means going beyond the game story. The good people at Nieman Lab asked me to contribute to their annual prediction package about the coming year in journalism. The implicit promise of a subscription site is that you are getting something worth paying for, something you can’t get anywhere else. It’s what my friend Dr. Andy Billings called the HBO model — as long as it has one thing you can’t live with you, you’ll keep paying for it. The newspapers coming off the press is what got me. A few weeks ago, I finally watched “The Post,” Steven Spielberg’s excellent movie about Katherine Graham, Ben Bradlee and the Washington Post’s decision to publish the Pentagon Papers in 1971. There are so many wonderful scenes for journalism nerds in the movie (which is a spiritual descendant of All The President’s Men). So many old-school newsroom moments that make your heart swell a bit. But the newspapers coming off the press is what got me the most. This is the scene where Graham decides to publish a story based on the Pentagon Papers. Bradlee calls the press room and says to run it (a great little thing - he doesn’t shout it triumphantly. He’s all business). The press foreman hits the button and the papers start to print. Papers off the press were always wet. The ink hadn’t totally dried yet, so the first papers off the press were always a bit damp. I can still feel them in my hands. It’s one of my favorite memories from my newspaper days. A few weeks ago, Dr. Denny Wilkins — my best journalism professor at St. Bonaventure — posted a picture of a full wrack of issues of the student newspaper. Photo courtesy Denny Wilkins via Facebook. The comments that followed were sad, predictable, and often nostalgic. People lamented current college students’ apparent lack of interest in reading their campus newspaper, or how much the commenter still liked or preferred print. I asked a question that went unanswered. What’s the newspaper’s digital readership? In all the laments about the state of the college newspaper, why did we all assume that print is the only way to read a newspaper? There are lessons to learn from our history, of course. But to look at it with rose colored glasses is dangerous. The implicit message of The Post is that this is journalism the way it oughta be. Imagine the horror, the unspoken message goes, if Ben Bagdikian had to Tweet updates of this story? This mindset ignores the simple fact: Digital news is better. It is. It’s more up to date. Mistakes can be fixed quicker. Readers get informed quicker and learn more information. There are more voices (the good-old days of journalism had a lot of straight middle-aged white dudes). Of the many mistakes the journalism industry has made in the past generation, the nostalgia of print is high among there. Of course, there is something special about print. There are things print does better than digital. Those memories of the damp papers fresh off the press are real, and they mean something to all of us. But when we as an industry keep lamenting what is gone in the past, when we look to the past as the way it ought to be, we miss not only the reality of the present but the possibilities of the future. The presence of video surveillance of the domestic violence, particularly the video that showed the actual assault, changed the story narrative. Ironically, the graphic video of the actual assault did not bring additional criticism of the perpetrator (at least in sports media coverage) but instead changed the focus of the story to the institution of the NFL—a pattern familiar in media coverage of scandals. The social construction of news—specifically, news values of deviance and journalists’ reliance on sources—also led to the evolu- tion of the scandal. Because of these factors, by the end of the year, the Ray Rice scandal was about Roger Goodell and the institution of the NFL. The scandal evolved to the point that Ray Rice was only a tangential part of the scandal itself. Several years later, the Kareem Hunt story is following a similar pattern. This has become less about Kareem Hunt's actions and much more about the NFL and the Chiefs' instutitonal response to it. Thirty, 20, or even 10 years ago, when newspapers still reigned supreme, there were plenty of entry-level sports reporting jobs to go around, and the career track was clear: A writer would make his or her star at a small local paper, move on to a bigger regional paper, and then maybe make it to the big leagues, writing for a national publication. As newspaper jobs have dried up, the traditional reporting paths have changed. Places like the Athletic, whose stated goal is to make local newspapers’ sports coverage obsolete, primarily hire people with sizable social-media followings, meaning that to make it there, reporters have to have built a following somewhere. One way to do so might involve writing for little or no money and no benefits at somewhere like an SB Nation team site; another might involve working for a monthly stipend and no benefits at a place like NJ.com. One sportswriter recounted a conversation in which Manahan was frank about the realities of the industry, and about the ways he understands the dynamics involved. Fagan said she believed in ESPN’s journalism, but that certain structural limitations in mainstream sports media helped lead to her departure. If you're online this NFL Sunday, you've no doubt seen the story from Adam Schefter. >The Athletic, a subscription-based digital sports media company, raised $40 million in a series C funding round. With this investment, the company has raised a total of $70 million since its launch in 2016, and is valued at roughly $200 million, according to sources familiar with the deal. The framing of this fascinates me, how The Athletic, in less than two years, has gone from the plucky new kid on the block to the big-money Goliath in this space. Which isn't necessarily wrong, or bad. Just interesting how quickly it's turned. Fascinating, at times pretty raw and honest interview with Katie Nolan in GQ. I didn't have a job for, like, a year. That was hard… I had just gone from work, work, work, work, work every day when I was doing those videos and bartending and then I went to TV and I was doing a daily live show. I had not stopped in a long time. I was forced to stop because I didn't want to sign a new deal, and I still had months left on my deal. So I was just waiting. It sucked. I was starting to go nuts. Like many of you, I did not make it to the end of Game 3 of the World Series on Friday/Saturday. I made it to the 11th inning, around 12:30 or so on the East Coast. Turns out, I missed seven innings and almost three hours of baseball. So I was thankful for Rachel Bowers’ piece on Boston.com this morning. It was one of the best game stories I’ve ever read. Which is an odd thing to say. This is not Peter Gammons from Game 6. This is not Tom Verducci from Game 7 or any of the other acknowledged masterpieces of the game story genre. But more than any game story I can remember reading, it did its job flawlessly. It told me what happened in game. It told me what happened after I went to bed, what I had missed because I’m an old man. It did so in an easy-to-follow format, using subheads and short paragraphs to recount what happened. It’s interesting, because it violates so many of the rules I teach my sports journalism students. It’s structured chronologically, rather than thematically or in an inverted pyramid structure. There are no quotes. But it was exactly what I was looking for this morning. Before I read anything else about the game — before I read the stories and columns about what the game meant, about the heroes and goats, about what it means going into tonight’s Game 4 - I needed to what the heck I had missed. Bowers’ story delivered that. It was designed not to impress fellow journalists or conform to an established template. It was designed with the reader in mind. It told me what I missed and what I needed to know. That’s what a game story should do.